Felicia Caldwell has a great job, a healthy bank account, and stunning good looks. But she longs for a husband and family to go along with it. 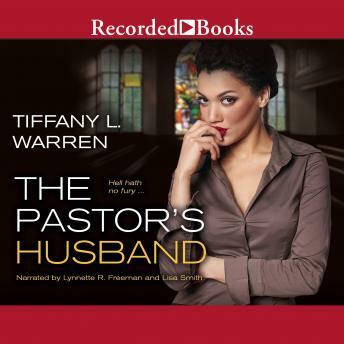 So when charismatic superstar pastor Nya Hempstead declares that partnership is on its way, Felicia is elated-until her life becomes filled with more curses than blessings. Five years later, someone has to pay-and that someone is Nya. Soon, Felicia is moving to Dallas and joins the church led by Nya and her co-pastor husband, Gregory. In the eyes of the public, Nya and Gregory have the perfect life. But their marriage is feeling the strain of Nya's success. While she's hitting the talk show circuit and the bestseller list, Gregory is fading into the background. It's no surprise he enjoys the fawning attention of new church member, Felicia. Little does he know her intentions are far from pure. And as she infiltrates the pastors' lives it will take a team of prayer warriors and heavenly intervention to save their relationship-and their ministry. Along the way, will they remember the mission they started with?